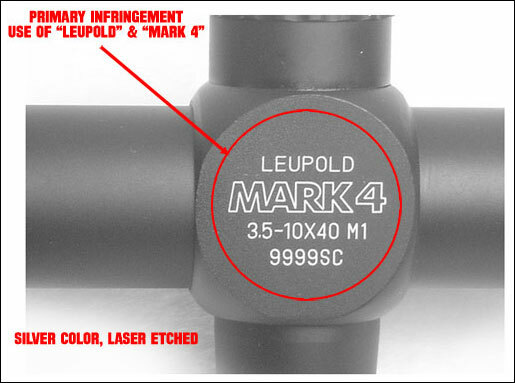 Leupold’s Mark 4 riflescopes are highly respected for their quality of glass, user-friendly tactile turrets, and durability backed up by Leupold’s lifetime warranty. These scopes are favored by police and military shooters. 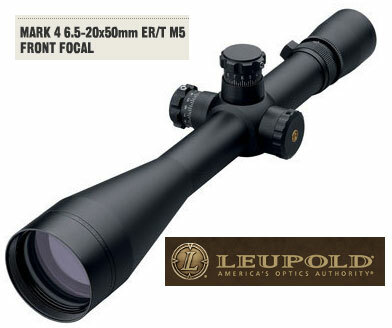 Because of their popularity, Mark 4 scopes are in high demand and retailers maintain pretty high prices. We’ve worked with one of our sponsors to create a very attractive special discount on Mark 4 6.5-20x50mm LR/T M1 scopes, just for our readers. Our sponsor DogHouse Outdoors has created a special package with a Leupold Mark 4 LR/T 6.5-20x50mm scope, plus Leupold tactical 30mm rings at a super-low price. These rings have an MSRP of $224.00. Through this special offer for AccurateShooter.com readers, you can get the Mark 4 scope, plus genuine Leupold Mark 4 30mm rings (either aluminum or steel), for just $1375.99. And shipping is FREE! Go ahead and comparison shop and you’ll see what a good value this is. Choose either a mildot reticle or Leupold’s TMR® (Tactical Milling Reticle). Most tactical shooters seem to prefer the TMR, which has fine hash marks. However, in low light, some shooters say the older Mildot Reticle is easier to see. This is a limited-time offer. DogHouse Outdoors plans to offer this $1375.99 pricing for the next three weeks, through the end of February, 2011. If you have been looking for a high-quality Leupold tactical scope, you should definitely check out this offer. Because most shooters actually are better served with a second focal plane reticle, and the vast majority of American shooters prefer MOA adjustments, the Mark 4 $1375.99 LR/T package scopes come with 1/4-MOA windage and elevation clicks with a second focal plane reticle. However, for those shooters who need a First Focal Plane (FFP) Reticle (for ranging at all magnifications), and mil-based clicks, DogHouse Outdoors is also offering a Mark 4, ER/T M5 6.5-20x50mm package. This features a FFP reticle, and turrets with 1/10 milrad clicks. 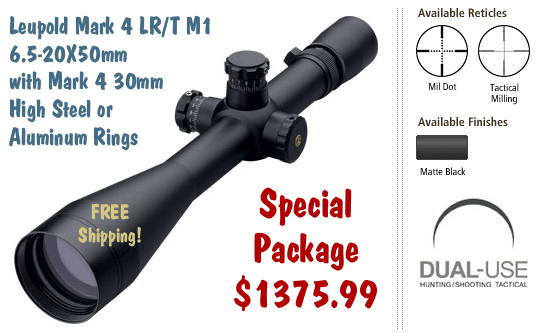 The price, including Leupold Mark IV 30mm rings, is $1,775.99. That’s 24% off the normal list price (with the $224 rings). Again, this offer is limited in time. Get your orders in before 2/28/2011. 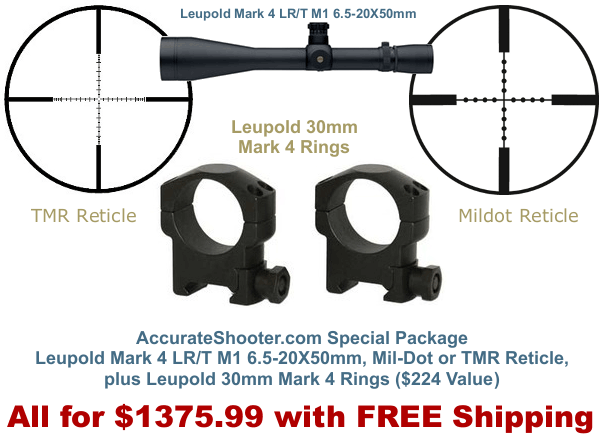 Share the post "Exclusive Package Deals on Leupold Mark 4 Scopes and Rings"